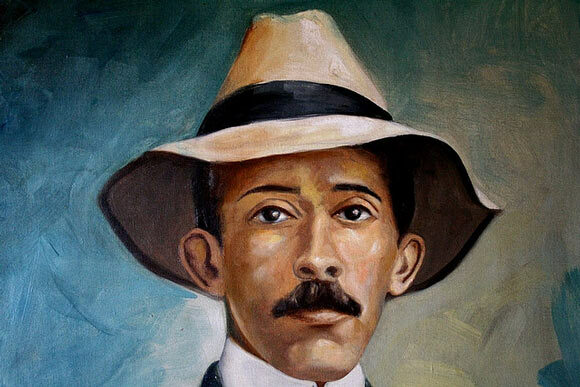 Alberto Santos-Dumont was a Brazilian aviator who is best known for flying the first controlled flying machine. Alberto was born on a farm in a Brazilian town called Palmira on July 20, 1873. He was the sixth child in a family of eight children, born to a wealthy family who owned a coffee plantation in Sao Paulo. Alberto was very fond of reading, especially books by Jules Verne, all of which he had read by the age of 10. His father was an engineer who built labor saving devices for his farm. These were so successful that he quickly became really wealthy and gained the title of “coffee king of Brazil”. When Alberto turned 18, his father sent him to Paris where he studied various subjects such as physics, chemistry and mechanics. Since his childhood, he had dreamt of flying so when he got to Paris, he hired a piloted air balloon to learn how to operate it on his own. After gaining mastery in flying, he even began to design his own balloons. These were called “dirigibles” because they were steerable, as opposed to other balloons that would only move along with the direction of the wind. The first dirigible that he designed and flew by himself was called “Bresil”. It had a capacity of 113 cubic meters and Alberto flew it on July 4, 1898. Over the next few years, he designed and built another 10 dirigibles. Alberto became well known around Paris for flying his dirigible over rooftops and sometimes even landing in streets and cafes that he wished to visit. In 1901, Alberto was involved in a flying accident caused by loss of gas in his dirigible, which led it to crash into the rooftop of a Paris hotel. Fortunately, he was able to survive the accident by hanging on to the basket, and was rescued by the fire brigade. His next attempt at building a dirigible was far more successful, and Alberto won the Deutsch de la Meurthe prize for it. He made a round trip between Parc Saint Cloud and the Eiffel Tower in less than 30 minutes, but there was some slight controversy regarding his time of landing but after discussion, the committee awarded him the prize money of 125,000 francs. Of this, Alberto donated 75,000 francs to the poor people of Paris. Winning the prize made Alberto a rich and famous personality in Paris, where he began to be considered part of the elite. People began to imitate his distinctive manner of dressing as a tribute, such as his signature Panama hat and high collared shirts. In 1904, Alberto competed for a prize of $100,000 to fly from Paris to St. Louis, but his dirigible became damaged upon landing in St. Louis, which suggested that some foul play might have occurred. His interest then turned to fixed winged aircrafts and helicopters; he designed and flew his first aircraft in October 1906 while a large crowd gathered to watch him. He also set the first world record by flying a distance of 220 meters in 21.5 seconds. Alberto Santos-Dumont played a role in popularizing wrist watches among men. At that time men wore pocket watches while women wore wrist watches as jewelry. Alberto needed a watch to measure his speed and performance during flights, so he asked his friend Louis Cartier to design a watch for him that would allow him to keep both hands free for steering. Cartier made him a watch with leather bands and buckle to tie around the wrist, which was the first wrist watch as we know in its present form. Alberto never married and is reported to have suffered from severe depression for most of his life. He died in July 23, 1932 in mysterious circumstances; he might either have committed suicide or been murdered, but this was never confirmed. He was a pioneer in the field of aviation and given several awards such as Officer, Commander and Grand Officer of the Legion of Honor.